FRANKFORT, Ky. — A decade ago, bourbon barons poured bottles of their precious amber liquid on the Kentucky Capitol steps to protest a looming tax hike. On Wednesday, industry officials stood with lawmakers to cheer another round of growth in the spirits sector. The cause for celebration was a new study showing Kentucky bourbon flexing more economic clout as it matures, leading a distilled spirits industry that contributes $8.6 billion annually to the state's economy. 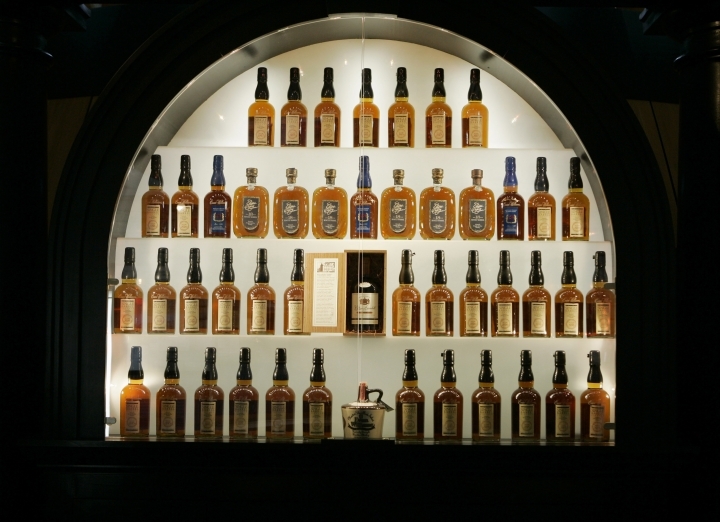 Its economic output increased 60 percent in the past decade in Kentucky, where most of the world's bourbon is crafted. The sector also pointed to big increases in jobs, capital investment and tax revenue. "This is a monumental success story," Rick Robinson, chairman of the Kentucky Distillers' Association board of directors, said at the statehouse event Wednesday. Industry officials credited Kentucky lawmakers with speeding the momentum by setting a new policy course for the sector. The idea was that lowering the spirits industry's tax burden at a time when it was growing would increase the flow of tax revenue to the state. Lawmakers followed through a few years ago by approving a credit to offset the cost of a tax on aging barrels of distilled spirits, effectively eliminating it for distillers. Distillers still pay the tax, and the money goes mainly to public education, but they get the money back through the tax credit. State leaders also eased regulations on the spirits industry. Bill Samuels Jr., who retired after a long career as top executive at Maker's Mark, said the study reaffirmed that lawmakers who supported those policies "got it right." Samuels, who took part in the anti-tax protest a decade ago, credited Senate President Robert Stivers with leading the effort for tax and regulatory relief. After the tax credit took effect, the industry ramped up its expansion, which "meant more people working, more distillation, more storage," said Stivers, R-Manchester. It also stirred more tax revenue for government. The study showed that spirits production and consumption generate about $235 million in annual tax revenue for state and local governments in Kentucky, up 88 percent from 2009. Kentucky distilleries are in the middle of a $2.3 billion building boom. About 8.1 million barrels of spirits were aging in Kentucky last year, up 61 percent from 10 years ago as more distilleries opened and existing ones boosted production, the study said. Nearly 7.5 million of those barrels contain bourbon — the highest level since 1972. Distillers paid a record $23 million in barrel taxes in 2018, more than double from a decade ago. House Speaker David Osborne said the tax and regulatory relief for the spirits industry was a "prime example" of how government should work with the private sector. "It is an incredible testament to what business can do when government gets out of the way," said Osborne, R-Prospect. Despite the industry's good times, American whiskey makers are facing headwinds from retaliatory tariffs slapped on their products in some markets, including the European Union, as a result of broader trade disputes between the U.S. and several other countries. Distillers are concerned the tariffs "put continued growth at risk," Samuels said. The new study showed Kentucky exports of bourbon and other spirits topped $450 million in 2017. The value of Kentucky spirits exports has tripled in 20 years. KDA officials noted that the industry-backed study didn't delve into the impact of tariffs, since it was based almost entirely on data available before tariffs were imposed. — If Kentucky's distilled spirits industry continues at its current growth rate, economic output will exceed $10 billion by 2020. 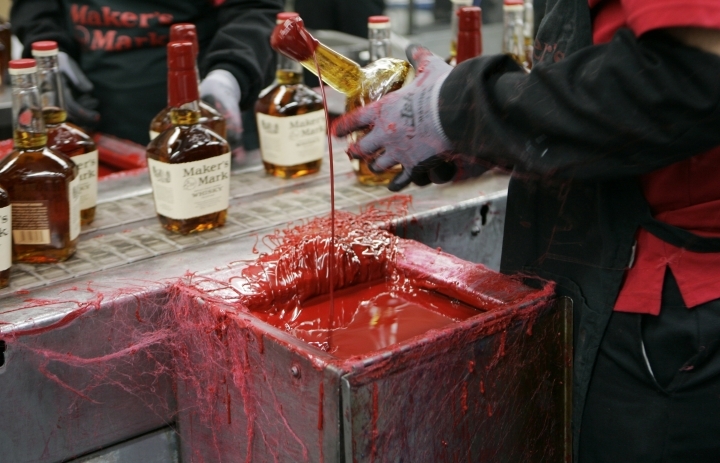 — Kentucky bourbon production based on new barrels filled has increased 115 percent since 2009. — The distilled spirits industry generates more than 20,100 jobs, up 104 percent in the last decade. Annual payroll now tops $1 billion, compared to $442 million in 2009. — The number of Kentucky distilleries has more than tripled to 68. Many are smaller, craft distilleries. The number of Kentucky counties with a distillery has quadrupled to 32. — KDA distillers bought more than 9 million bushels of corn and other grains from Kentucky farmers in 2017.